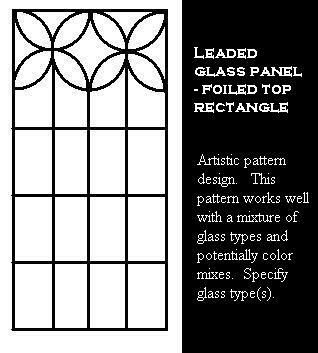 We reproduce classic period Tudor window geometric patterns (see example patterns below). 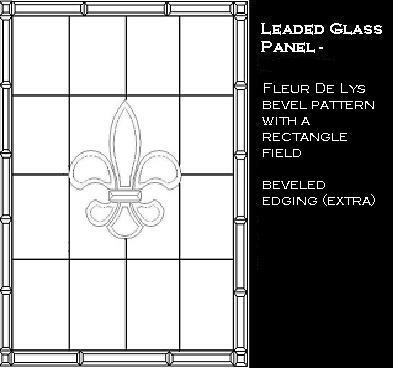 We can design the glass panel to fit an existing Tudor window or set the panel into a wooden frame. 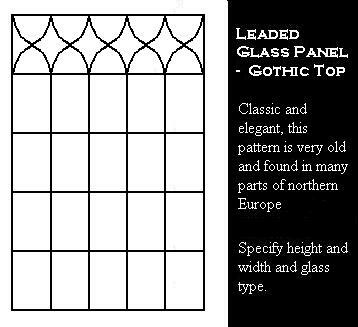 We use only traditional materials - - lead came, steel or zinc outer frame, and quality cathedral (or other per your design) glass. 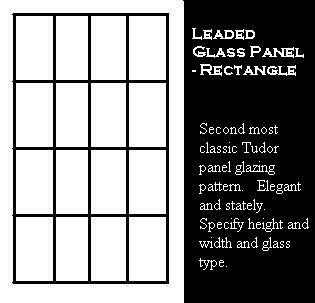 Tudor Window standard geometric panel cost is determined by the size and shape of the pattern. 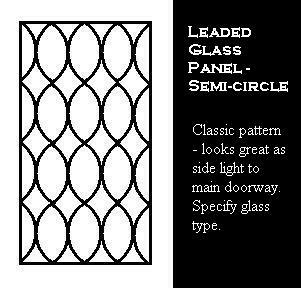 The rectangle pattern is $75 per square foot, diamond pattern cost is $85 per square foot - both with standard features (1/4 inch lead came, 1/2 inch zinc frame, clear double strength glass, patina, putty (weather-proofing). 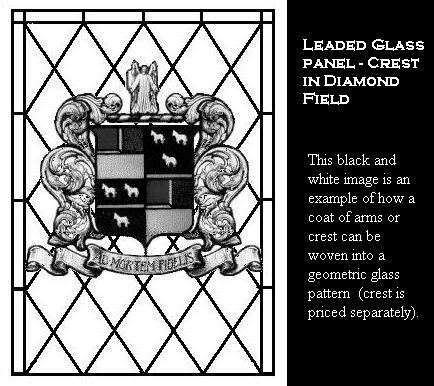 About Tudor Windows, Leaded Glass and Stained Glass : One of the most recognizable elements of Tudor architecture is the use of leaded glass panels within heavy mullioned Tudor windows. 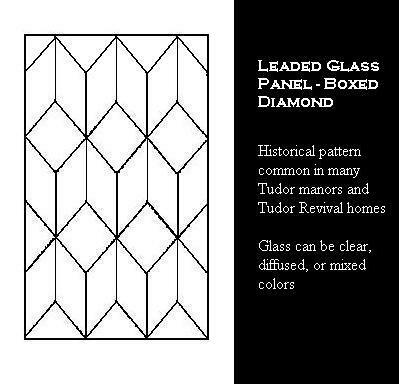 An authentic Tudor window consists of leaded glass panels typically comprised of small panes in geometric patterns. 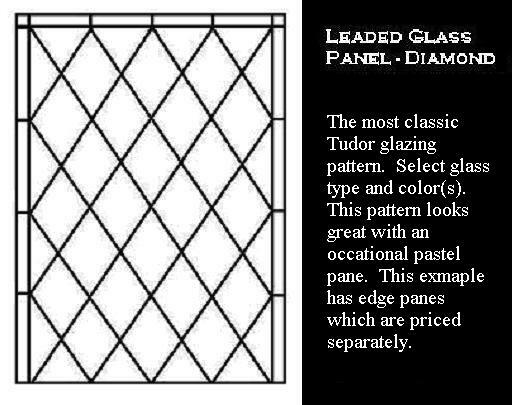 The reason for the small panes is simple - in the Tudor times (1479 - 1607) glass could not be made any larger. In fact, glass in those medieval times was a true luxury item. Therefore, Tudor windows tended to be small in modest homes. Only the larger residence owners could afford significant amounts of glass. Naturally lighted interiors were highly prized. 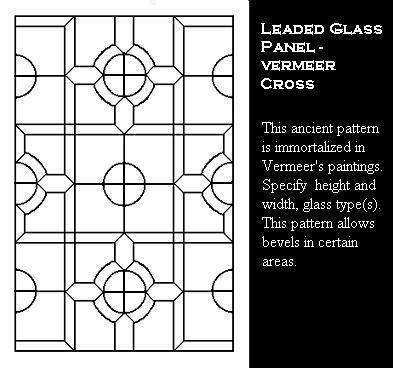 This design pattern started in the churches where light streamed in through marvelous glass window panels - many times with integrated stained and painted glass colors that filled the room and the soul. 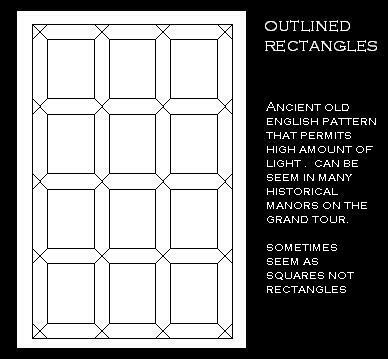 This same effect was sought after in the Tudor windows of larger residences like manors and castles first, and then ebbed into smaller houses eventually. 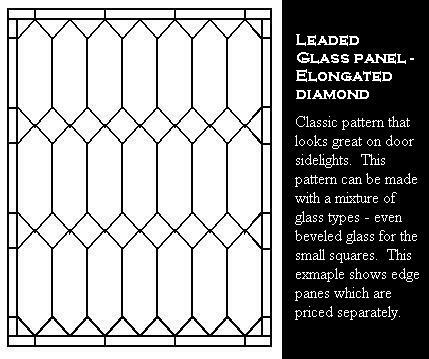 The two most common leaded glass patterns found in the Tudor windows of these historic homes are the rectangular and diamoned panes. 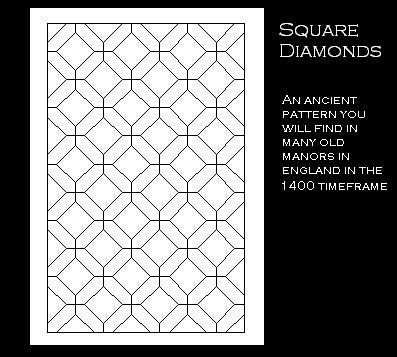 However, there existed countless other patterns that became more complex as time went on. It was highly fashionable to have portaits of the family members painted into the panes as light-catchers. 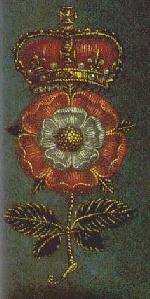 Another popular motif was the heraldry or coat-of-arms of the owner. The panes of these Tudor windows were mostly connected via webs of lead or zinc "cames" that were joined by a molten metal. These cames were originally hand-wrought, and much stronger than modern day versions. Modern day panels for Tudor windows have changed somewhat. Typically the came size has reduced (unfortunately) and the time and care put into the panel has reduced in many cases. Came size in historic windows was 0.5 inches or more! Modern insulation requirements usually require that the glass panels be installed inside of another window pane - usually a double insulated pane. This technique provides effective insulation, but unfortunately reduces the Tudor window's impact from the exterior. Medieval panels were normally fixed within a wooden or steel frame and were mostly not movable. 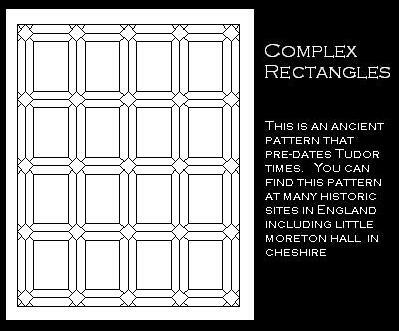 However, within a bank of Tudor windows many times there was at least one panel that could open via a casement mechanism that was operated via a catch (lock) and a "stay" that would allow the Tudor window opening distance to be set by the operator. Stays were many times quite decorative and usually made of wrought iron. 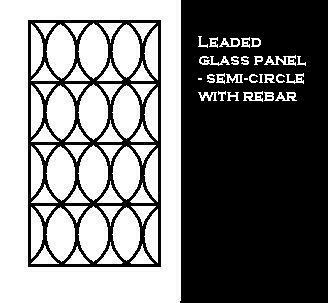 Tudor windows require support bars, called "rebars", every so often - there should be a rebar support for every 12 linear feet of window perimeter.